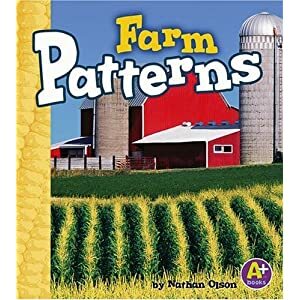 Our book for today was Farm Patterns by Nathan Olson. I have been working with Aubrey on patterning so I was excited to find this book and the other books in this series. They are non-fiction and have gorgeous photographs! Friday seems to be the day we do simple activities around here! This is a super easy and really fun activity. Aubrey practiced patterning with mini m&m's. She was just a little excited about this! I took a simple piece of printer paper and created some patterns with a marker. I then gave Aubrey the bowl of m&m's and had her finish the patterns. When she finished the sheet, she got to eat the candy. She even shared some with me!